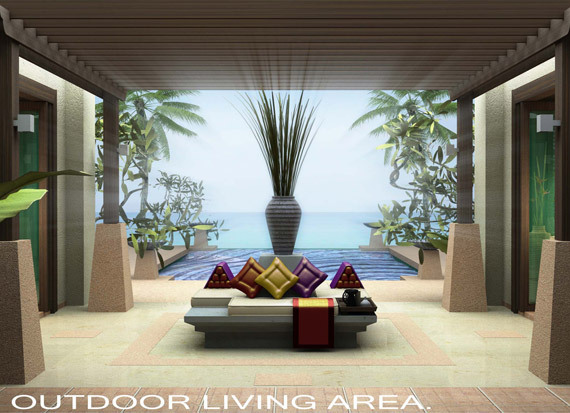 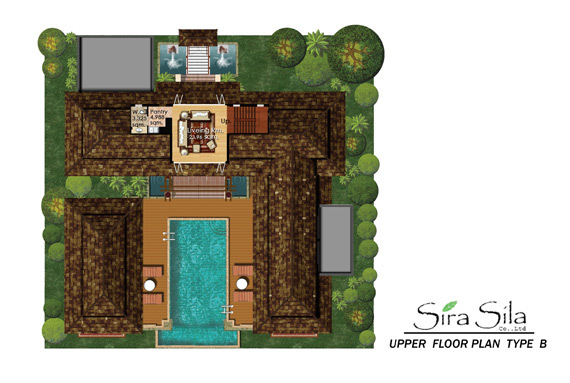 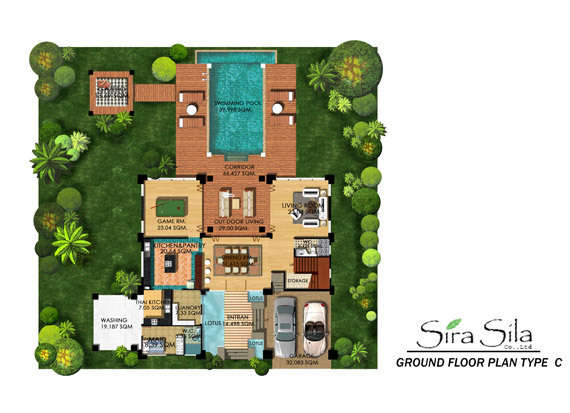 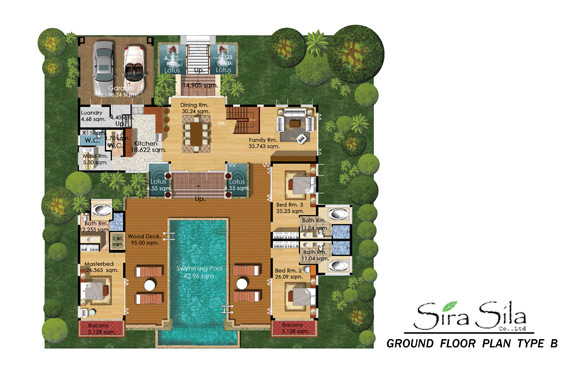 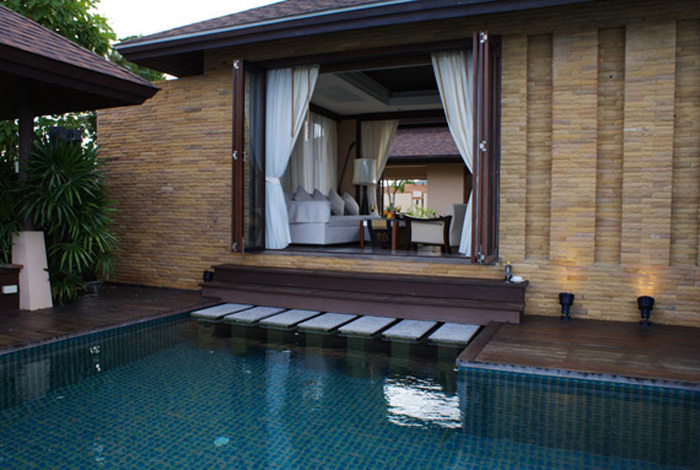 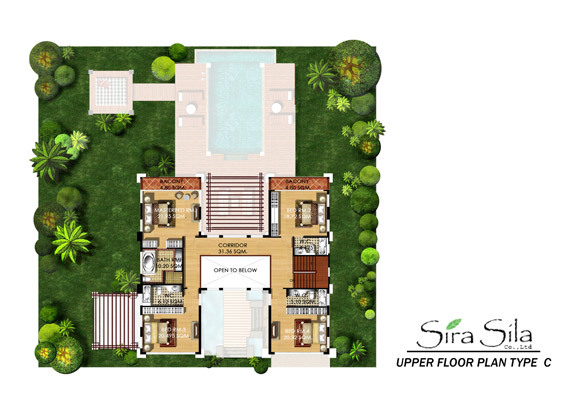 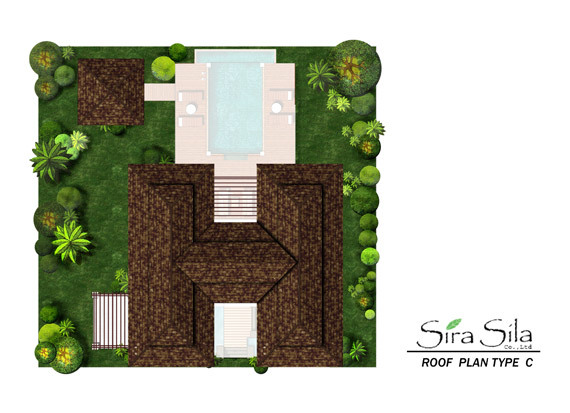 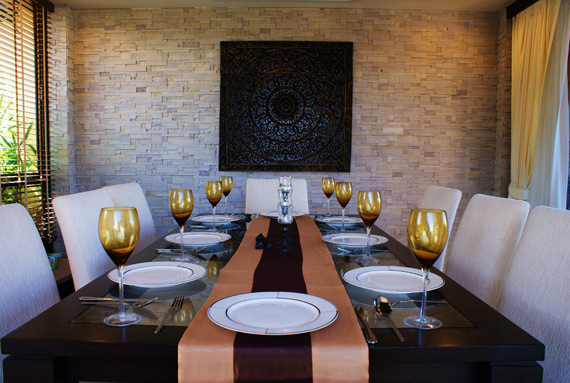 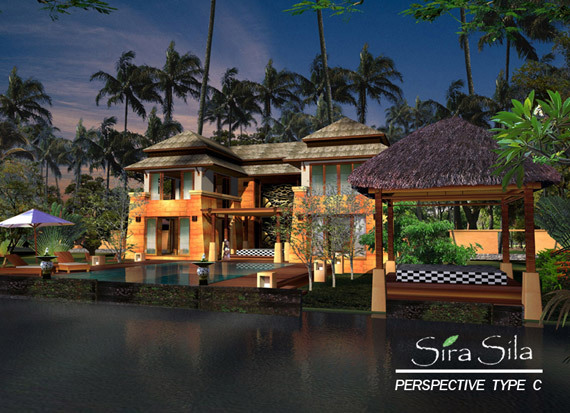 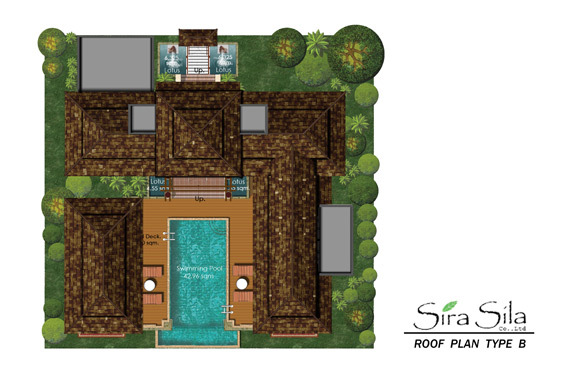 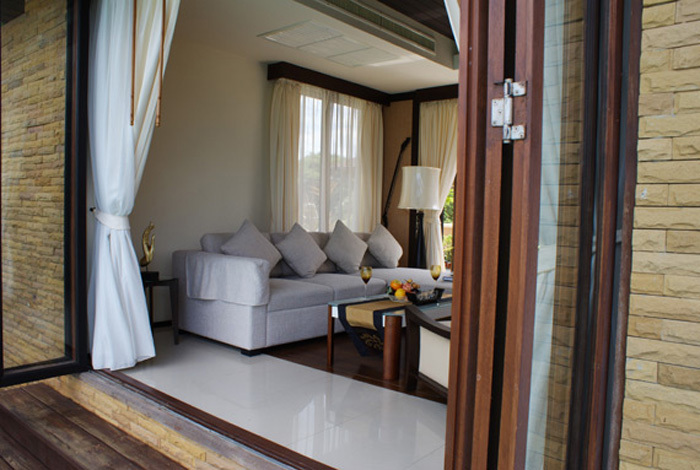 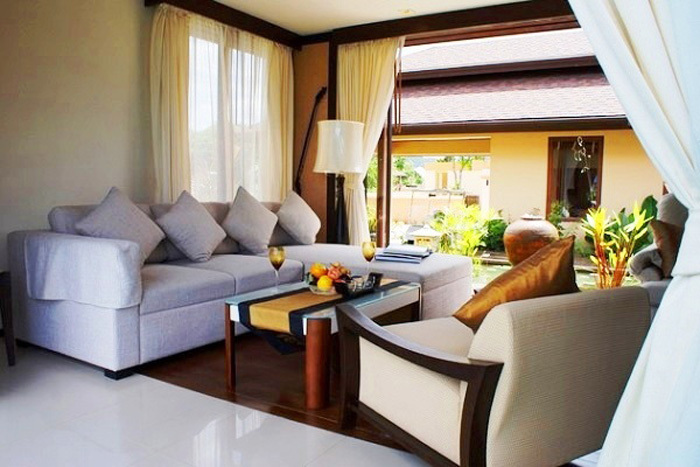 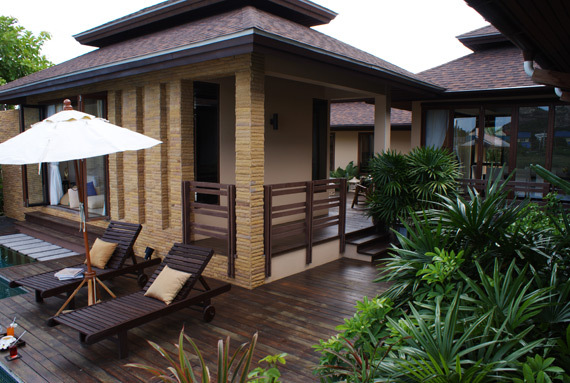 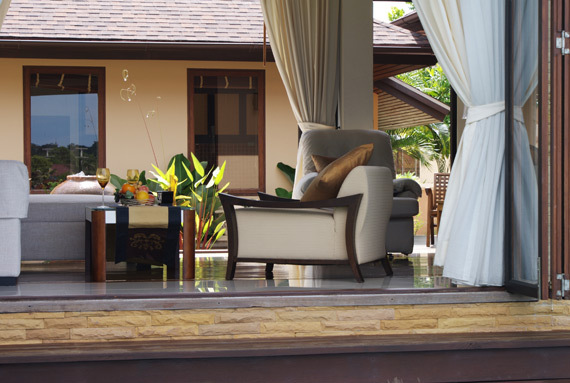 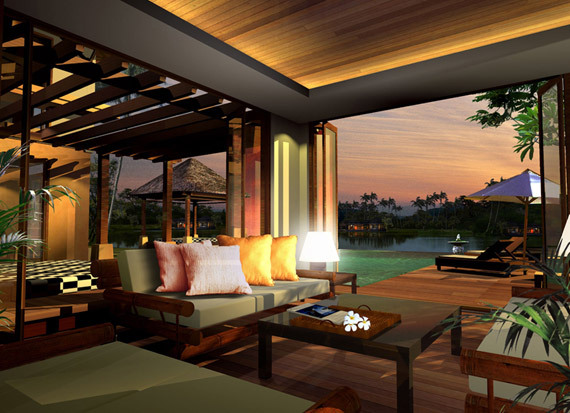 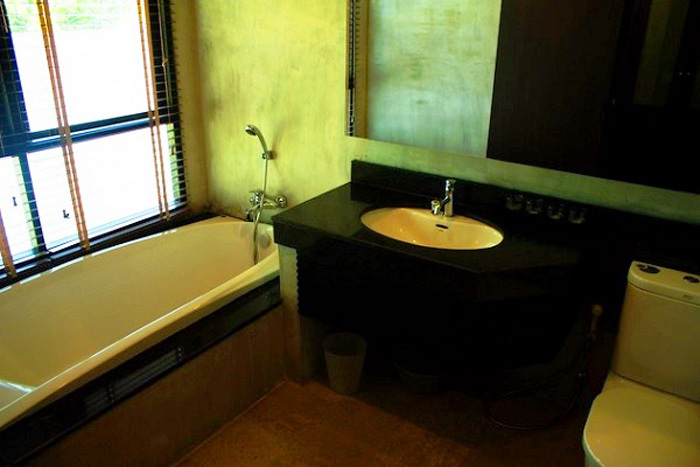 The Sira Sila project is designed to have the flavors of a Balinese Style resort. 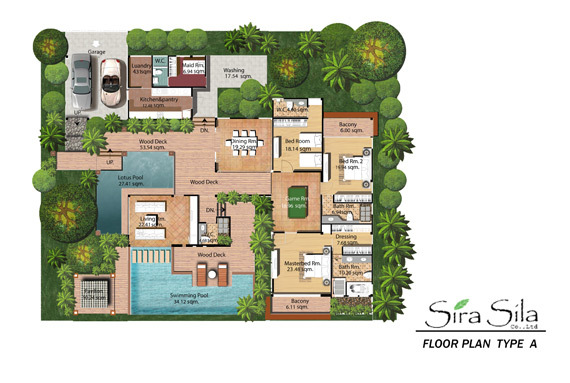 We’ve planned for no more than 30 homes, each one covering 200 Sq wah at least. 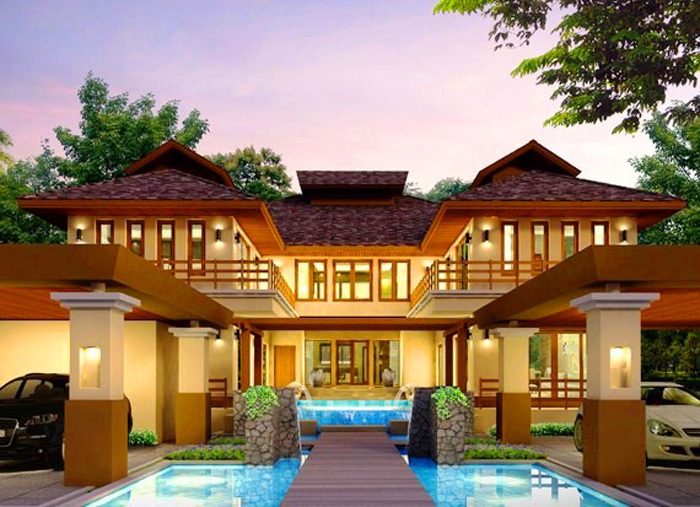 Homes are loosely set apart by more than 10 meters. 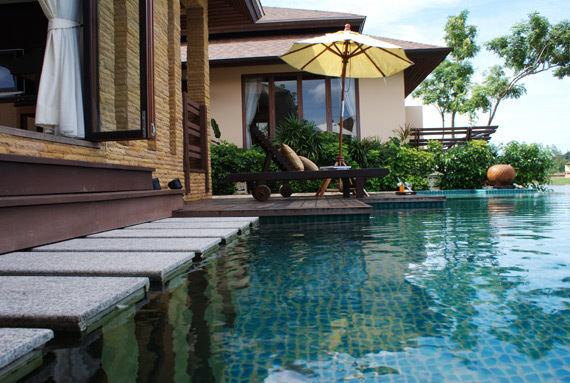 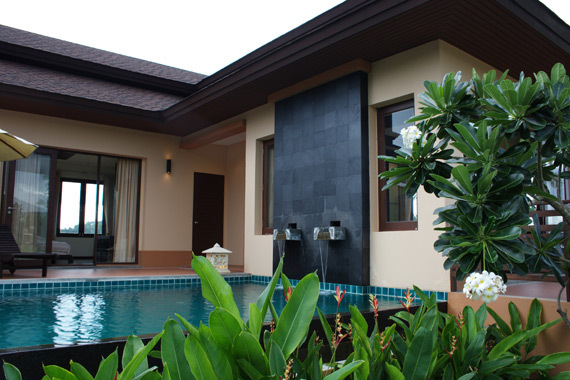 There are 5 types of basic designs, all with swimming pools. 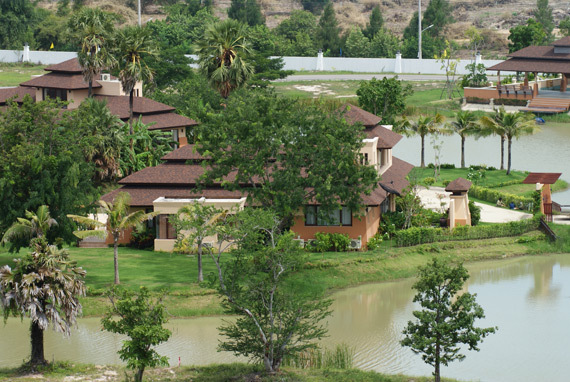 All plots of land are directly adjacent to the centrally located lake, some have more areas next to the lake than others, so it is advisable for customers who want the best Feng Shui for their home to come and choose their plot and the view from the plot. 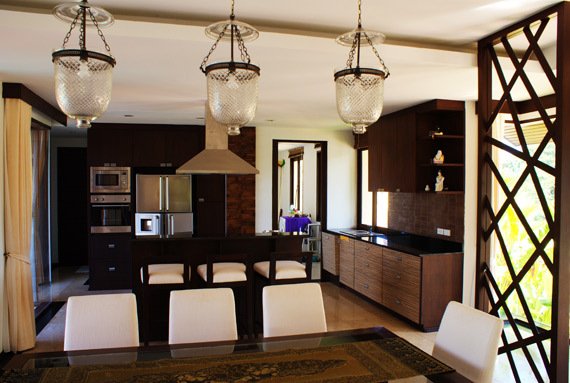 All homes are fully furnished and inclusive of Air conditioning as well as essentia lelectrical appliances like large double door refrigerators and ovens. 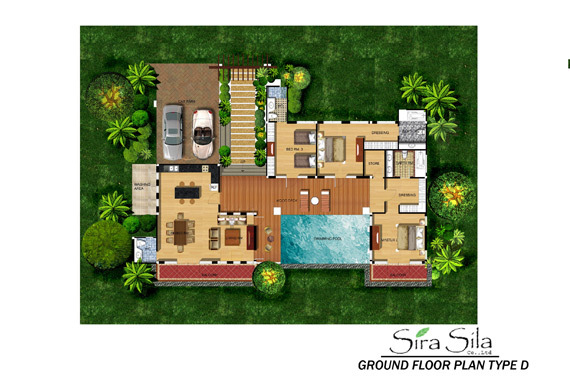 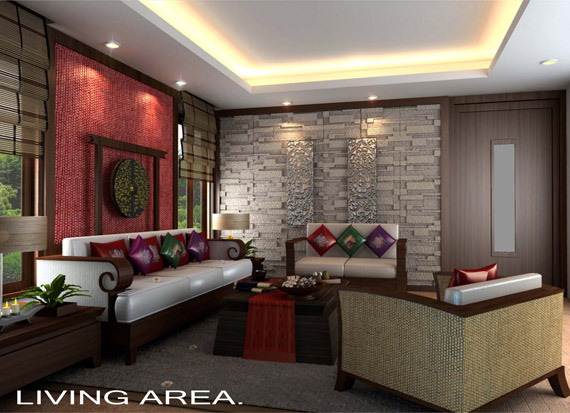 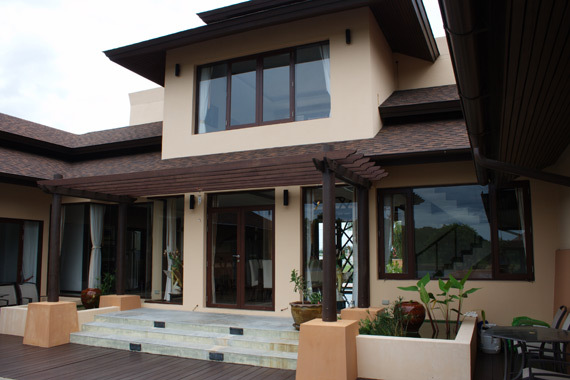 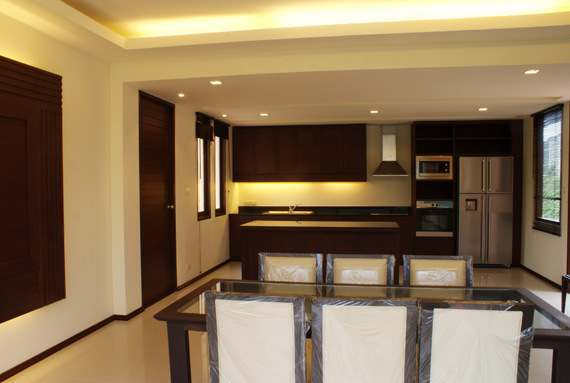 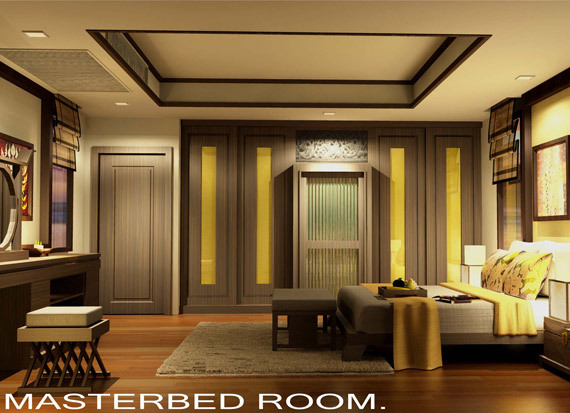 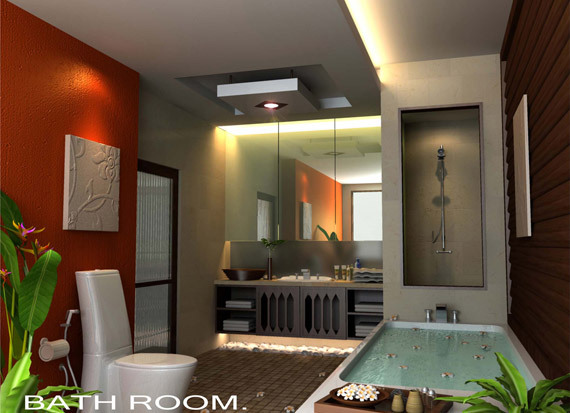 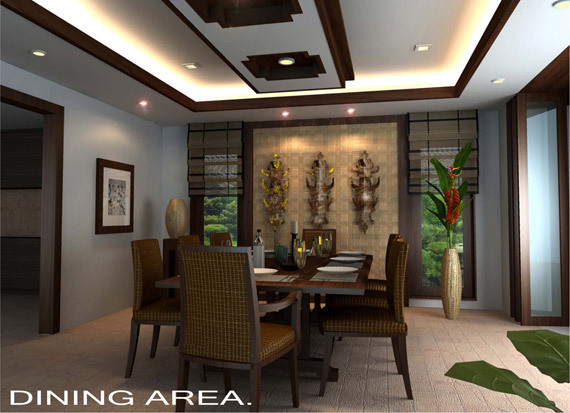 Additional requirements or extra planning and designing is also possible because we design our own homes here. 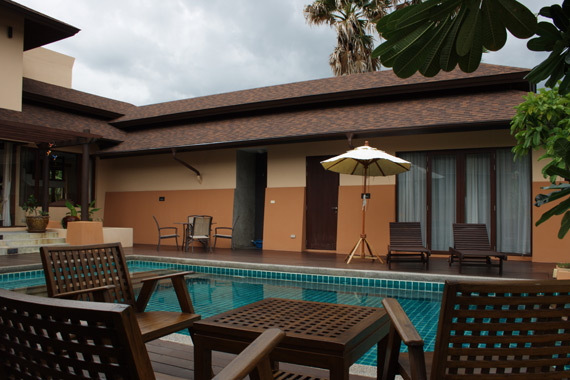 In addition to the homes, we also operate a Club House with a large swimming pool, Jacuzzi, Tennis court, Library, Fitness center with Sauna for all residents. 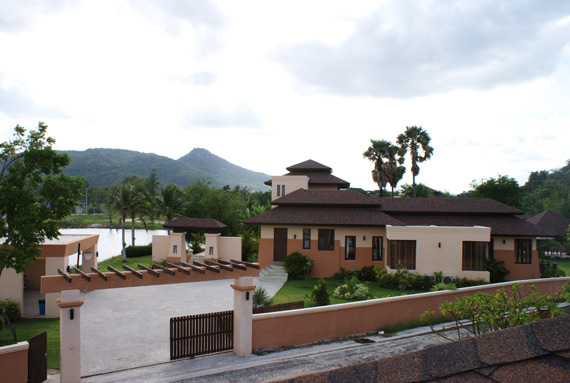 We have 24 hour security with CCTV and you will not see any electric poles because we’ve put them underground. 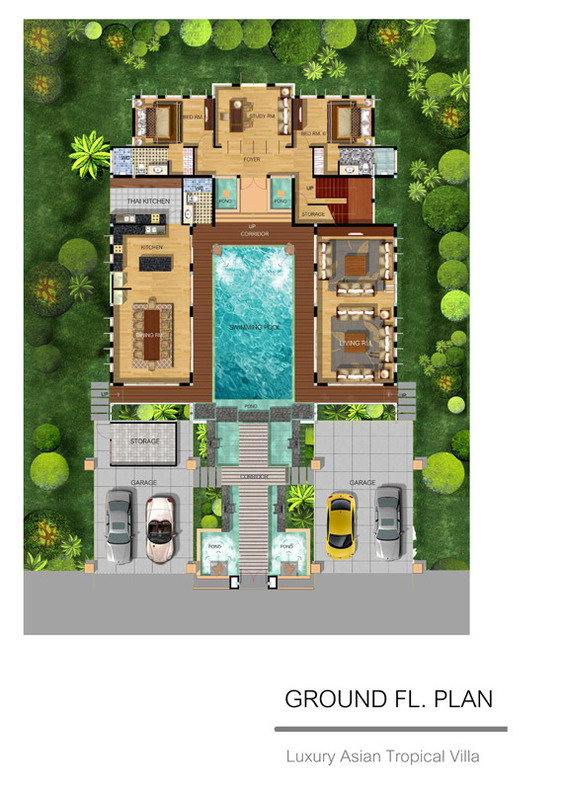 Type A is cluster style, with a few separate pavillions surrounding a swimming pool.There is a sleeping pavillion, which houses the bedrooms and dining room, a kitchen pavillion, which houses the kitchen, maid’s quarter and garage, and the lounge pavillion for the living room. 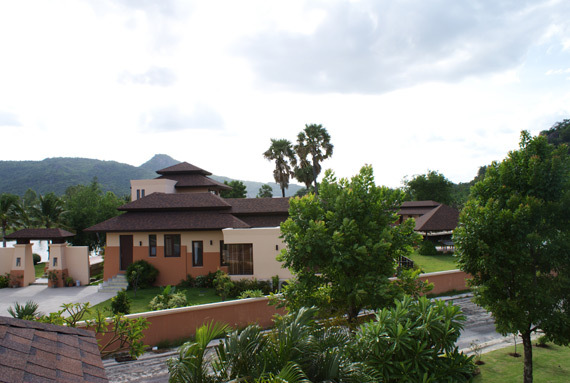 All the pavillions are connected by a series of walkways surrounded by lush tropical gardens. 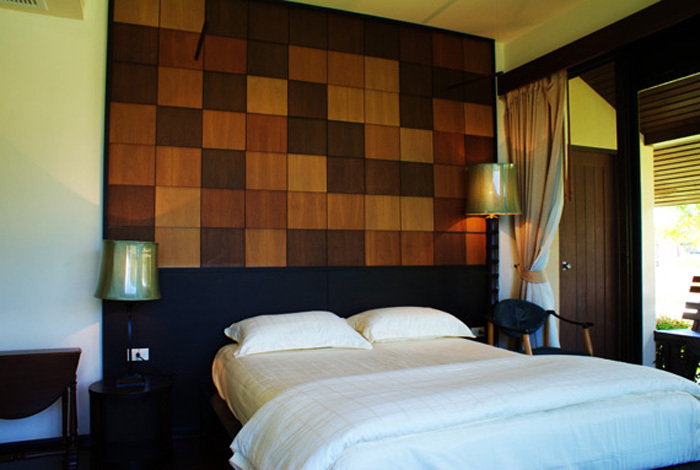 Type B is slightly larger. 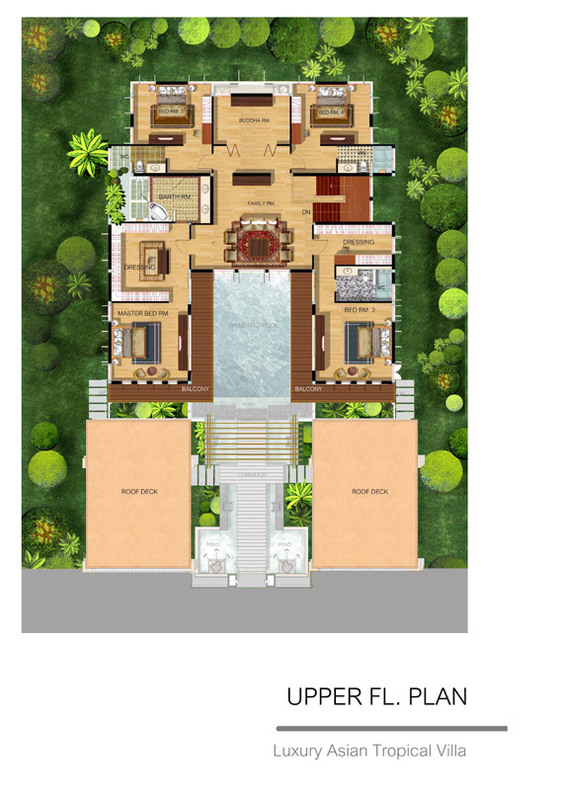 There is a second floor. 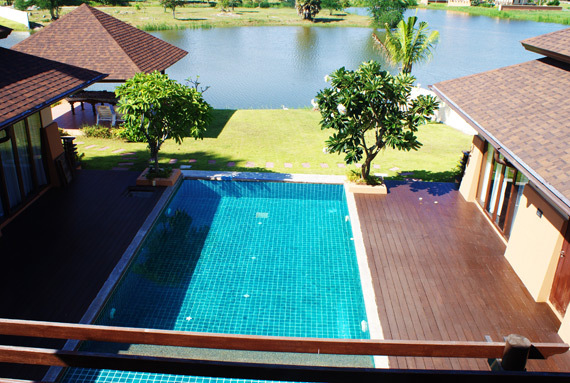 The house is shaped like a U surrounding a swimming pool. 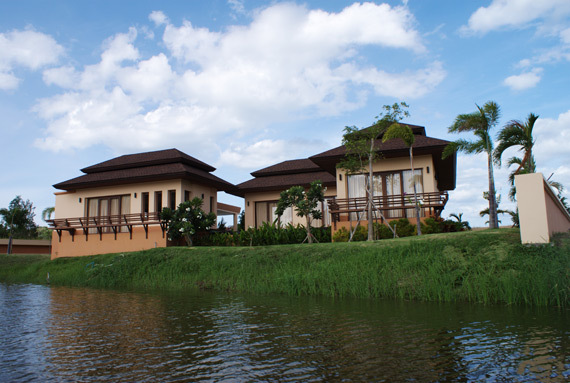 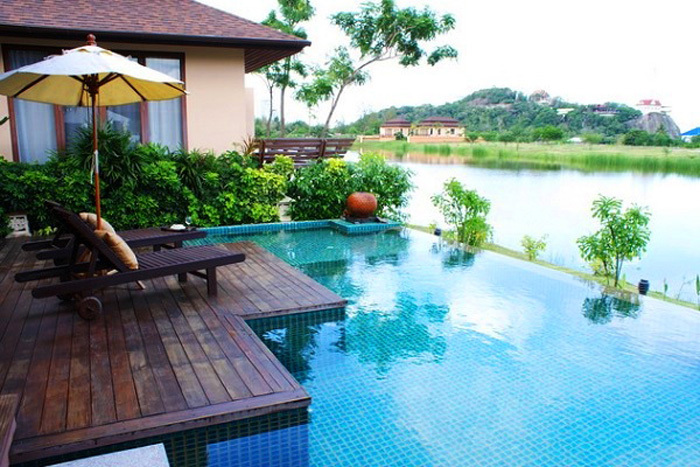 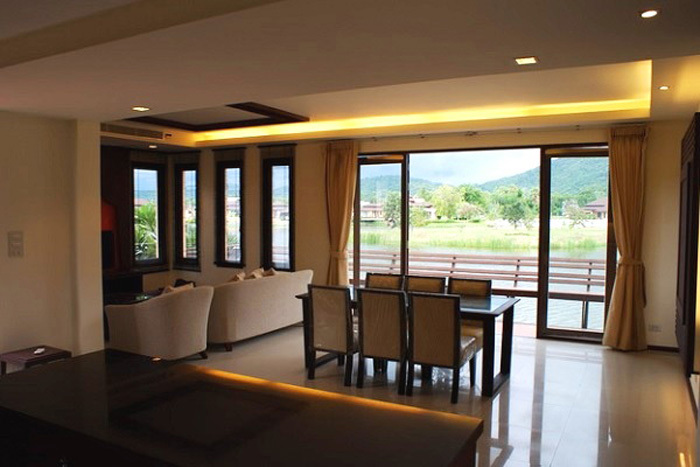 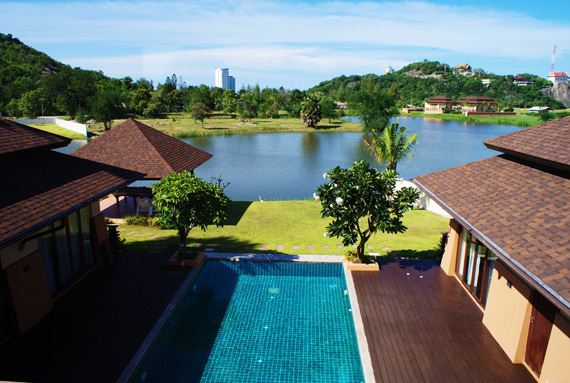 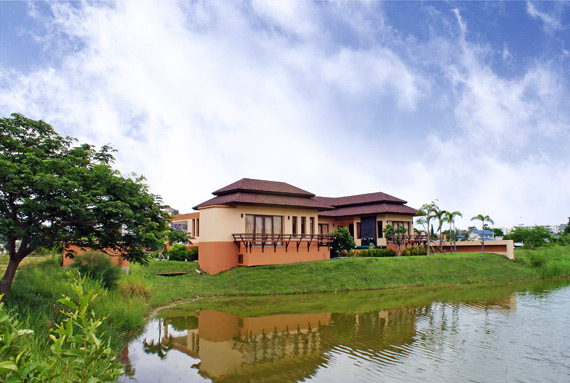 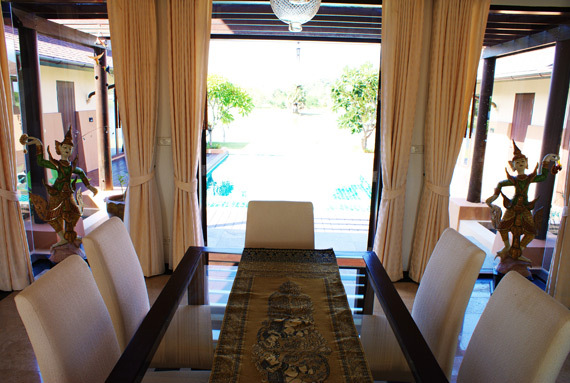 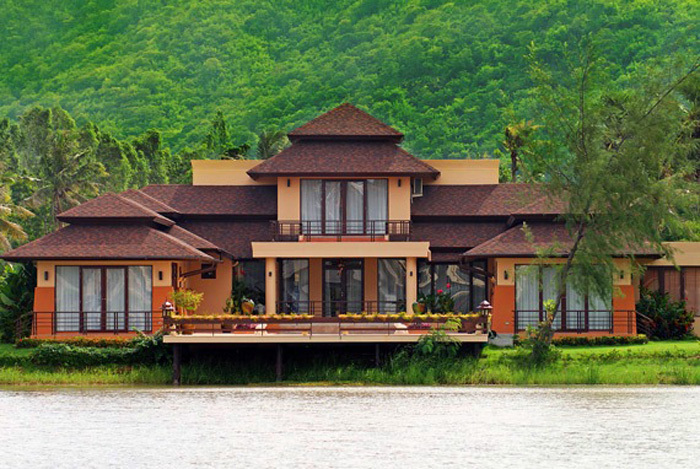 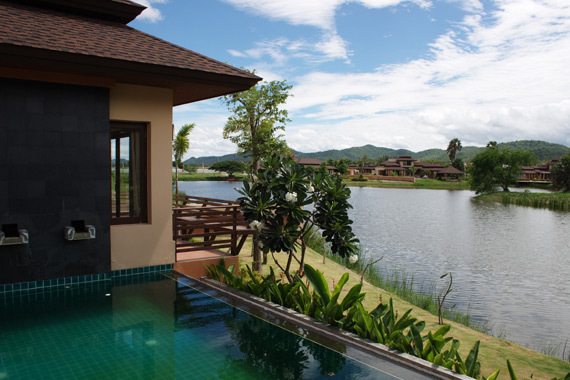 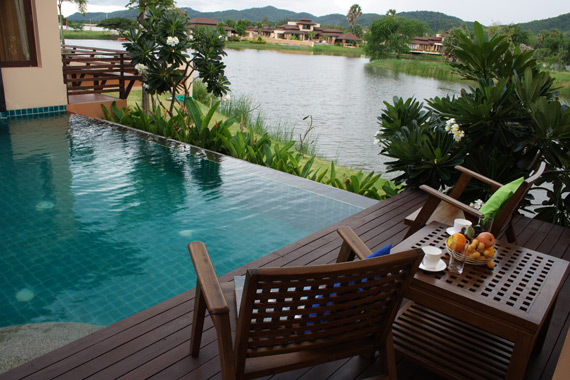 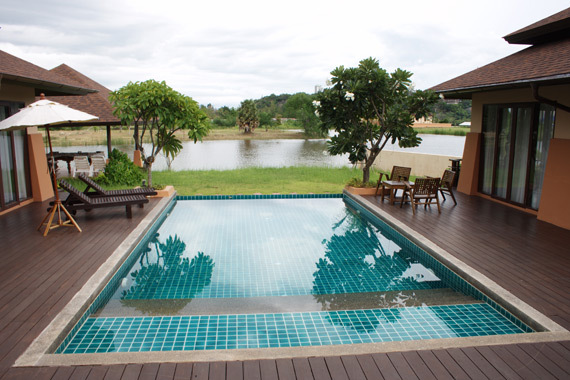 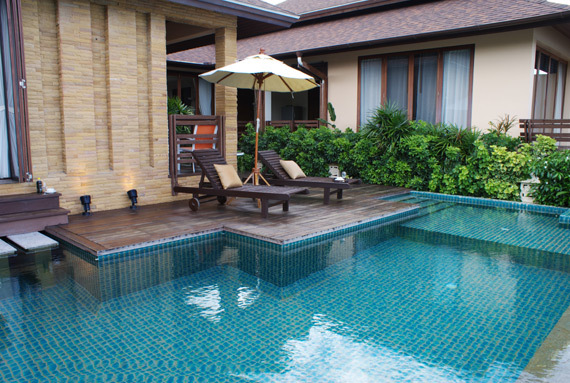 Type C is a large 4 bedroom house with swimming pool and waterside pavillion. 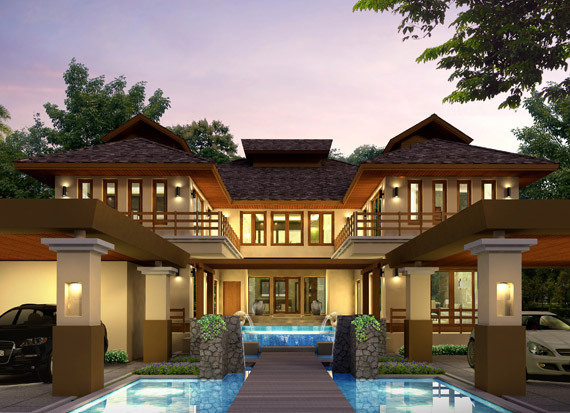 This type is not cluster style so all functions are contained in one building. 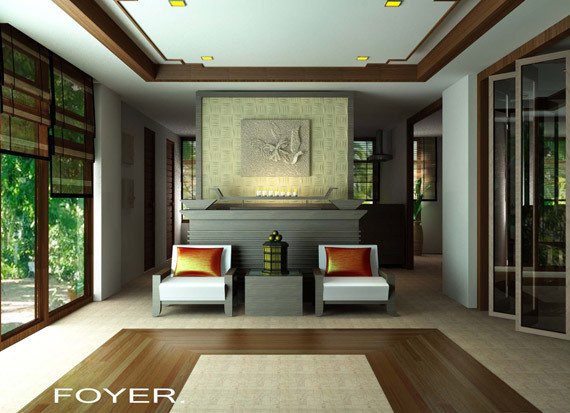 Type D house is similar to the A type but with less space for smaller families. 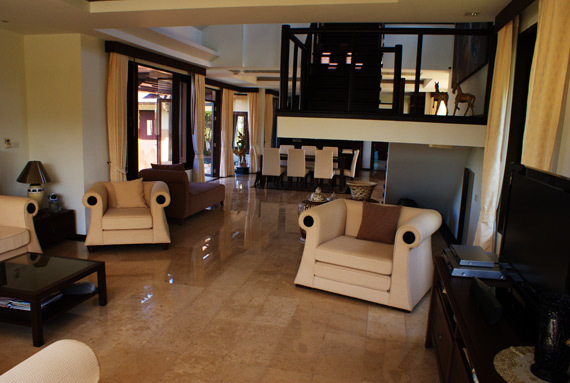 It still has the same usable areas and is a perfect vacation home. 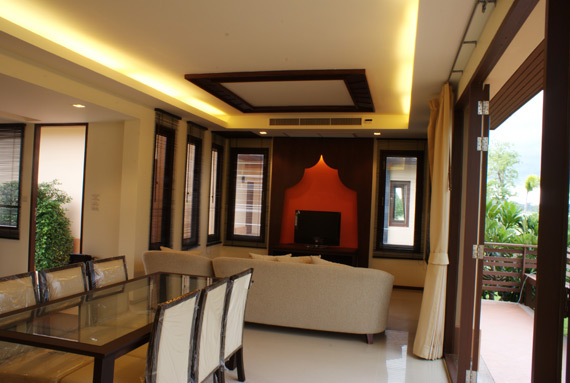 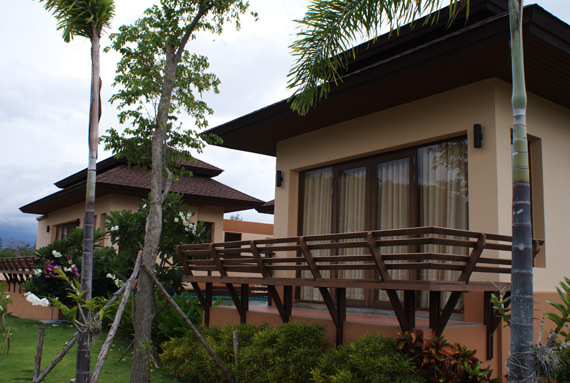 It is also the perfect size vacation home to rent out to tourists who travel as a family. 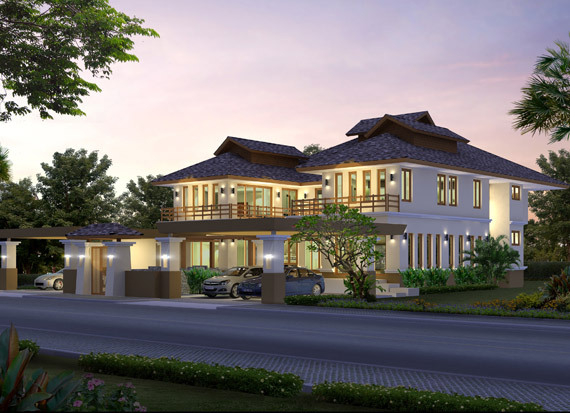 Type E is a very large 6 bedroom house that resemble the B type but much larger. 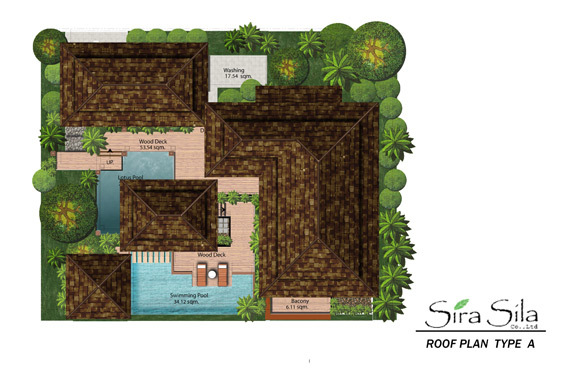 Only 2 plots will be available for this type, due to its large size. 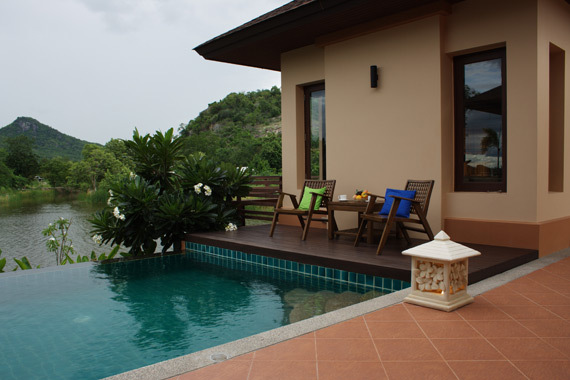 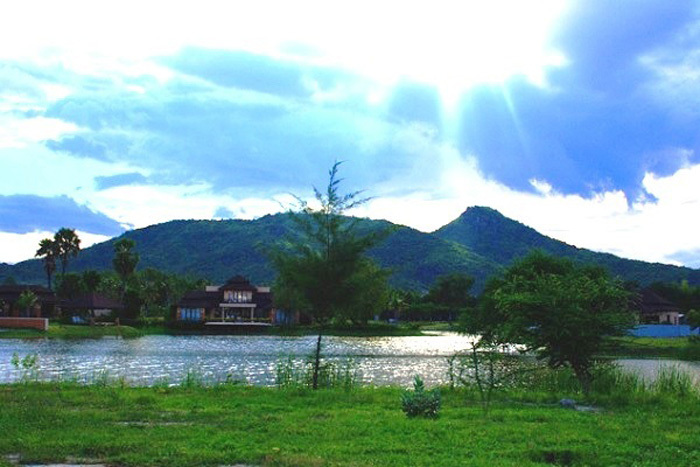 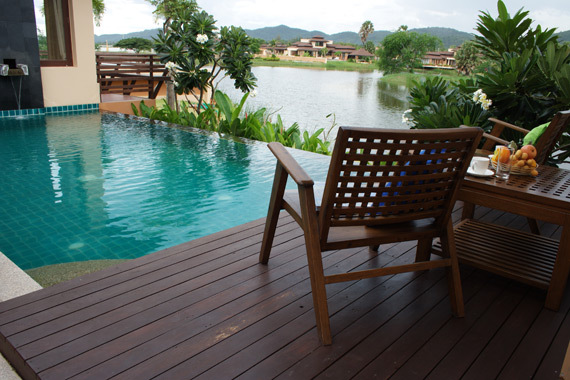 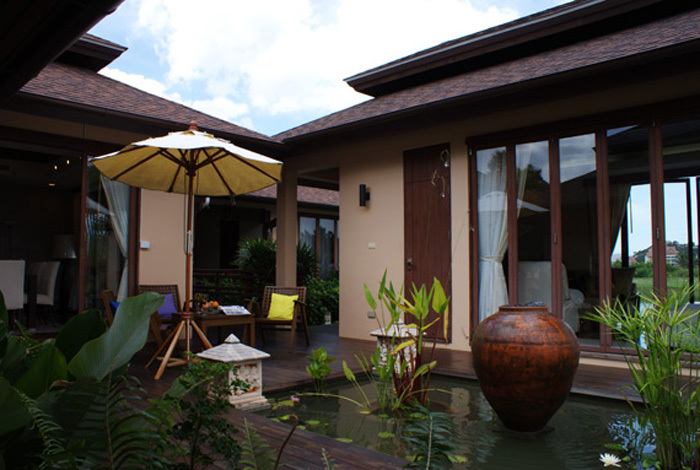 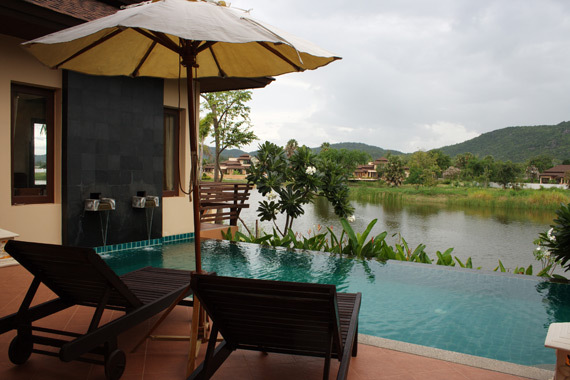 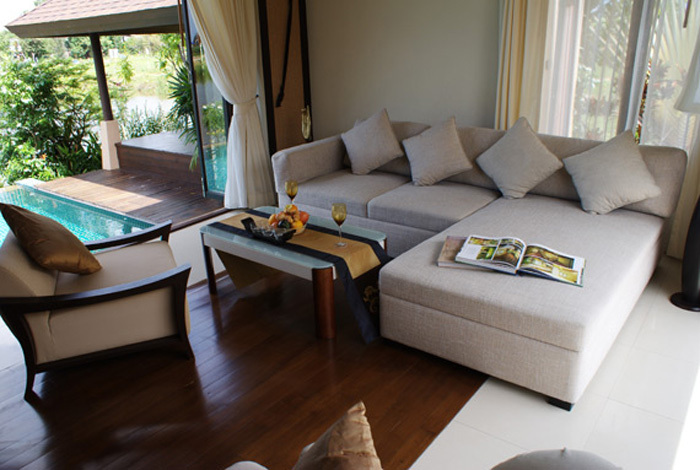 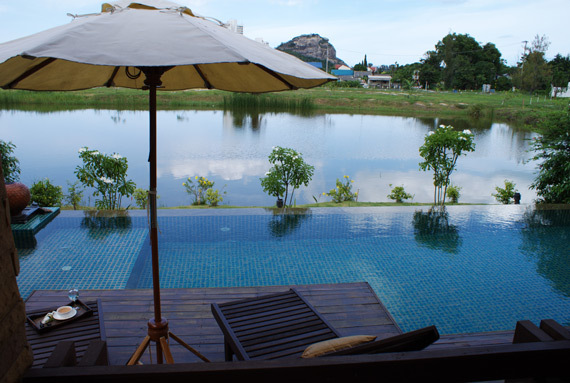 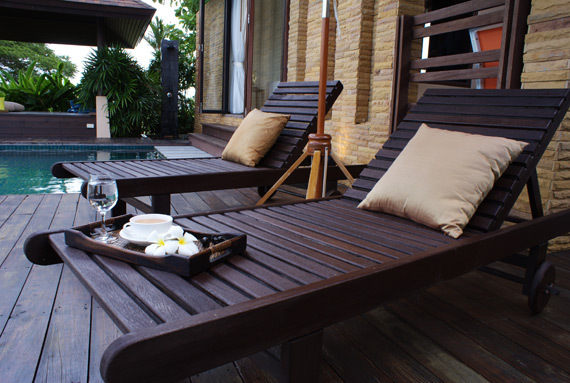 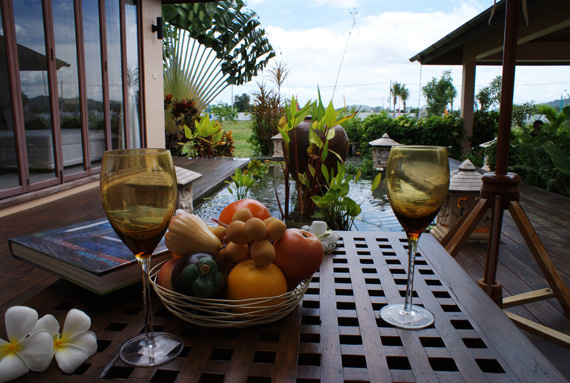 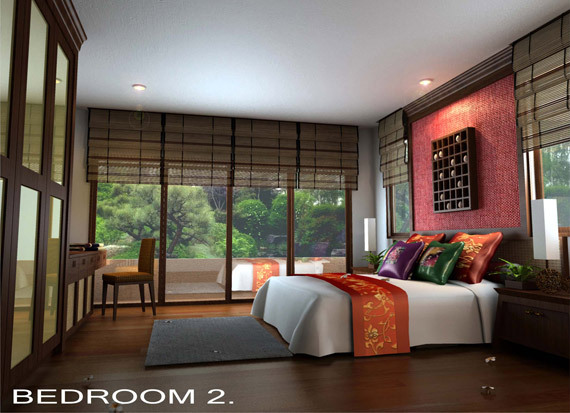 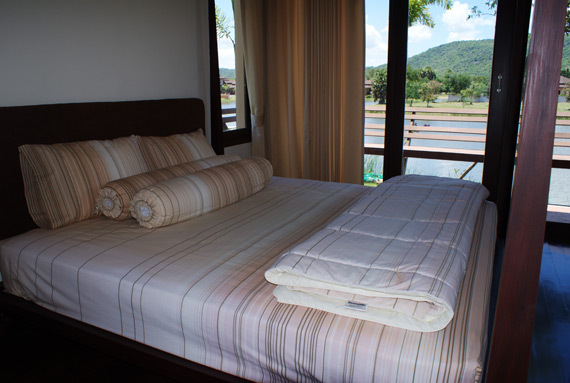 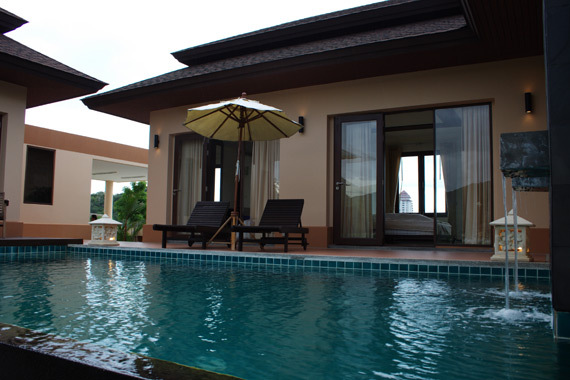 5 Minutes South of Hua Hin town in the Koh Takiap area, just a short walk to the beach and shops and resturants.